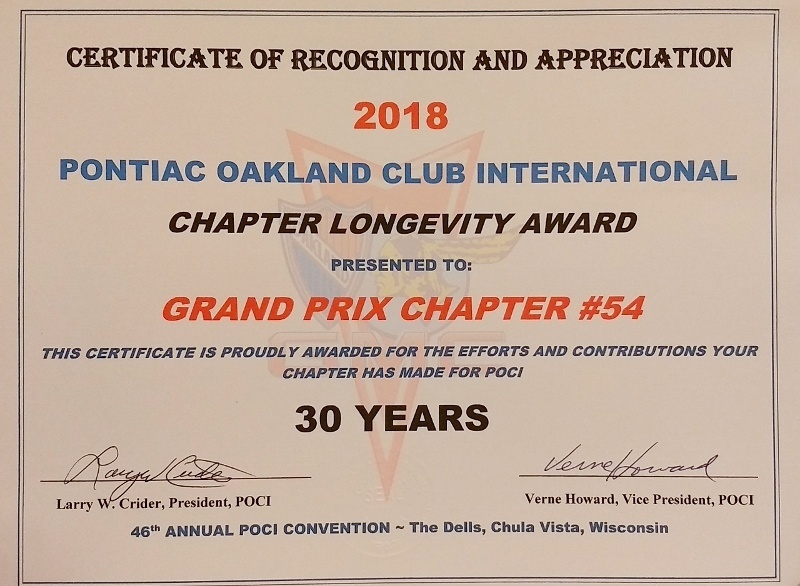 The POCI show at the Wisconsin Dells is over and it was a good time. It rained on Tuesday but didn’t slow much down but the swap meet. Wed was the Points Judged show and Thursday was the Popular Vote show. The weather was good for those and cooler than many shows with temps of mid 80’s. 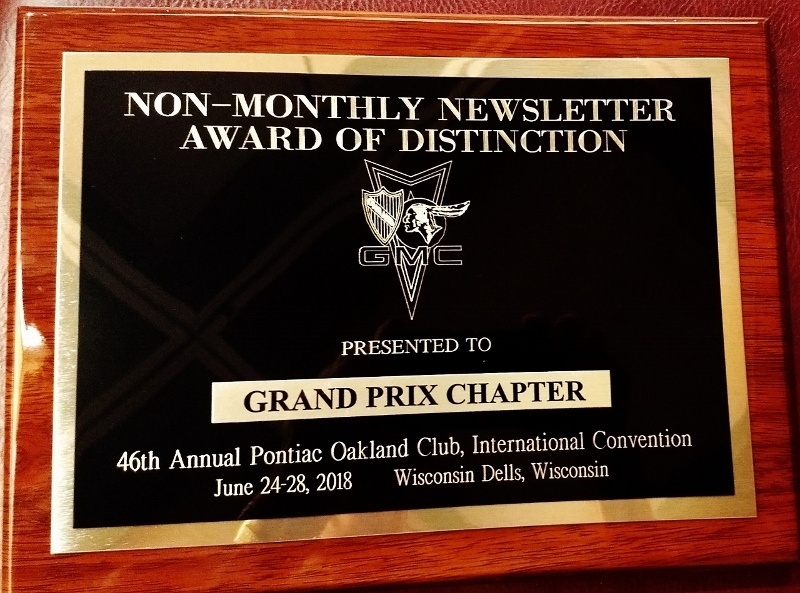 At the POCI convention awards night the Grand Prix Chapter got 2 awards. 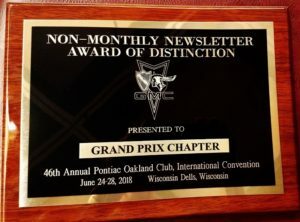 Grand Prix Chapter 30 year as a chapter award and the Newsletter Award of Distinction for “Prix Views” along with that, $100 cash. 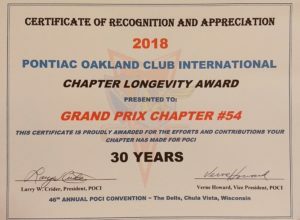 The Pit Crew voted to pass the $100 to Paul Bergstrom, editor for his good work.